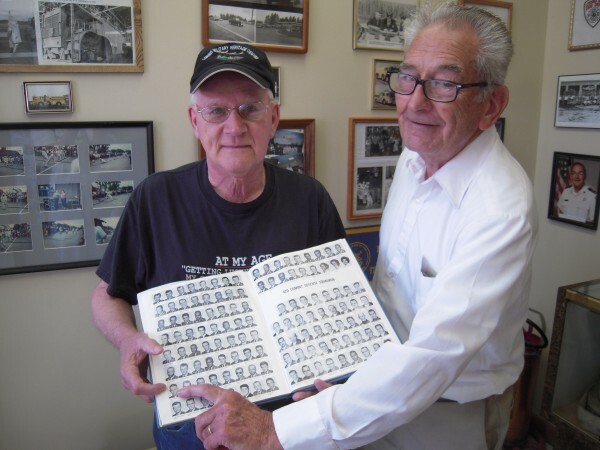 Howard Burson of Limestone (right) points to a picture of Charles Hash of Caribou (left) in a 1963 Loring Air Force Base yearbook at the Loring Military Heritage Center in Limestone. Burson once patrolled the nuclear weapons storage area on the base and Hash served in the 42nd Food Service Squadron. The Loring Military Heritage Center on Cupp Road at the former Loring Air Force Base in Limestone will host Loring Reunites 2012 Aug. 24-26 for former base personnel and the public. Scale model aircraft on display at the Loring Military Heritage Center at the former Loring Air Force Base in Limestone. LIMESTONE, Maine — Loring Air Force Base was a mysterious place in 1991 when Matt Cole of Washburn was an Eagle Scout. He always looked forward to the annual Boy Scout Winterama campouts on the base, one of the few times civilians were allowed through the patrolled gates that limited access to the Strategic Air Command facility in Limestone. The day after Loring closed in 1994 Cole drove to Limestone and rode all around in his Blazer to see what he could see. “I was fascinated,” he said recently. “Nobody was allowed in there.” Cole wondered why. Now he knows. 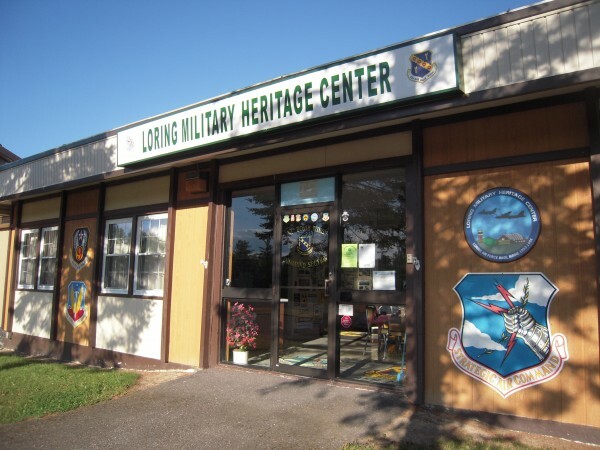 Cole’s teenage curiosity about a forbidden place led to the creation of the Loring Military Heritage Center, a museum filled with Loring Air Force Base memorabilia that today brings tears to the eyes of visitors who were once stationed there as airmen and women and civilian employees. Now the owner of Cole Construction in Washburn, Cole, 38, began collecting Loring-related patches in the wake of his Boy Scout days. Then someone gave him a 16-by-3-foot mural of the base. “This should be displayed somewhere,” he thought. So he called the Maine Air Museum in Bangor. The person he talked to was more interested in the patches than the mural. Cole got to thinking: Maybe these items should be displayed in Aroostook County — perhaps on the base. At that time, he found the Loring Development Authority was more interested in the future than the past, but later, when Cole approached LDA Director Carl Flora, he received “100 percent support,” and more. The Loring Development Authority donated a building on Cupp Road — the former bank — in exchange for keeping it maintained. That building is now the Loring Military Heritage Center, drawing hundreds of visitors each year to view a growing collection of items unlike those in any other museum. “This is the only heritage center with these types of items,” Cole said, explaining that while other museums document the agricultural and ethnic traditions of Aroostook County, the Loring center is the only one dedicated to the men and women who populated Loring Air Force Base from 1953 to 1994. Every item bears the name of its donor, which also is included in an electronic catalog of items in the museum. This month, the center is hosting Loring Reunites 2012 on Aug. 24-26 for anyone and everyone civilian or military ever associated with the base, and the entire base will be open to the public — the arch hanger, the weapons storage area, the National Wildlife Refuge, the Maine Military Authority, as well as the museum. Visitors will be able to tour the base in Humvees restored by the Maine Military Authority, and retirees who once guarded the base’s nuclear arsenal will lead tours of the former weapons storage area, no longer protected by a high-voltage electric fence. Cuppy Johndro of Limestone, Loring veteran, heritage center secretary and co-chair of Loring Reunites 2012, said she had received registrations from New England, New Brunswick, the United Kingdom, Texas, Colorado, Delaware, Maryland, South Carolina, Ohio, Alabama, Pennsylvania and New York in advance of the Aug. 19 deadline to preregister for the Saturday dinner and dance. “We welcome back all of our veterans of Loring: families, civilians, contractors, military brats and friends of Loring,” she said. As the headquarters for Loring Reunites 2012, the heritage center will open at 4 p.m. Aug. 24 and 9 a.m. Aug. 25 and 26. Planners had hoped to schedule a flyover of a KC-135 tanker refueling a B-52 bomber during the weekend, but were unsuccessful, even with support from Sen. Susan Collins’ office. Members of the 69th Bomb Squadron at Minot Air Force Base in North Dakota had agreed to re-enact the refueling operation for which Loring was known. “We have the crew and the birds, all we need is the stamp of approval from the Pentagon,” Cole said, before receiving the final rejection. Almost as stunning, however, will be a new addition to the heritage center collection. On display in front of the center is a Gam 77 hound dog air-to-ground missile with the authentic paint job and decals of the nuclear missiles carried under each wing of the B-52 bomber. Since the center opened in 2005, visitors from all parts of the country have traveled to Loring to kindle memories evoked by scrapbooks, uniforms, signs, patches, yearbooks, photographs, insignias and scale model aircraft. One man was so overcome with emotion when he saw a model bearing a decal such as that of the plane he once flew that he had to leave the building. “Amazing stories come with the people,” said Bill Ossenfort of Limestone, a former airman who now volunteers at the center. “There is lots of history and emotion.” Bill and his wife Tonya recalled two sisters who pored over albums and displays until they found a photograph of their father and broke down. They said they had never seen him smile until they saw that photograph. One weekend, visitors to the center included two Loring Air Force Base veterans who discovered they live 10 minutes apart in Florida, but had never encountered each other before they met at the Loring museum. Volunteers from former pilots to civilian personnel help staff and maintain the heritage center, which is open from 11 a.m. to 3 p.m. on weekends and by appointment. 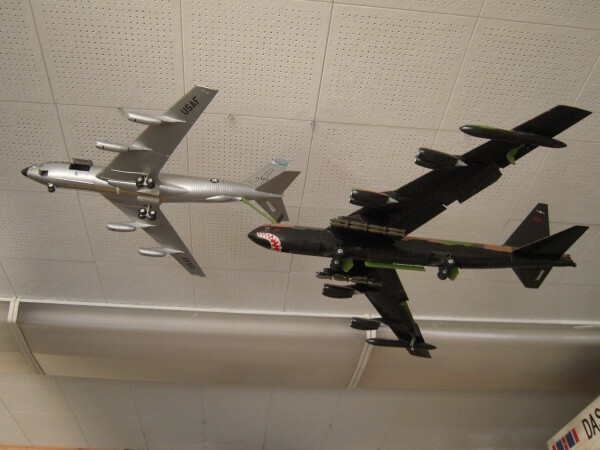 Volunteers have made scale model aircraft with appropriate decals and sent them to visitors who express strong feelings about their service at Loring. The center also arranges tours for students from local schools as part of their U.S. history lesson on the Cold War era. When Matt Cole welcomes Loring veterans to the heritage center, his first question is always, “What years were you here?” He leads the visitor to items from that era and perhaps to a yearbook containing photos of everyone on base at the time. For information, visit loringmilitaryheritagecenter.com, the Loring Museum on Facebook, or contact Cuppy Johndro 551-3439. Kathryn Olmstead is a former University of Maine associate dean and associate professor of journalism living in Aroostook County, where she publishes the quarterly magazine Echoes. Her column appears in this space every other Friday. She can be reached at kathryn.olmstead@umit.maine.edu or P.O. Box 626, Caribou 04736.